*Name has been changed to protect the messy. Stephanie, you’re far from alone in this problem – kitchen counters are a common dumping grounds! Fortunately, I’ve received several requests for counter top help recently so I have some advice ready for you! 1) Consider making a family-command center, like Keri describes here. This way you’ll have a natural (and attractive!) spot for keeping track of important family papers. 2) Give yourself a fresh start. 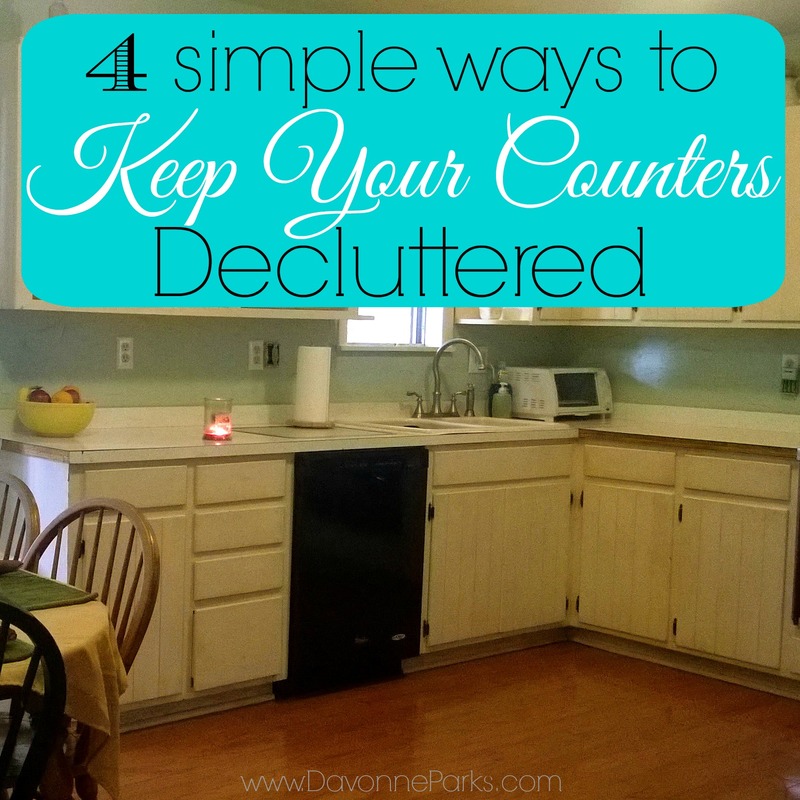 Declutter your counters, throw away anything that you can, and give you counters a fresh start! 3) Have one or two baskets on your counters, like I talked about in this counter clean-up article. This will help corral any clutter and set a natural limit because when the basket is full, it’s full, and things have to be put away! 4) Clean out your cupboards – sometimes counter clutter is a sign of a cupboard overflow! Keri gives detailed step-by-step instructions here about how to thoroughly declutter cupboards. 5) Just do something. Even if you don’t have time to put everything on the counters away, you can pick a few things to put back. This will help to keep the mess from growing! I hope this helps you, Stephanie*! 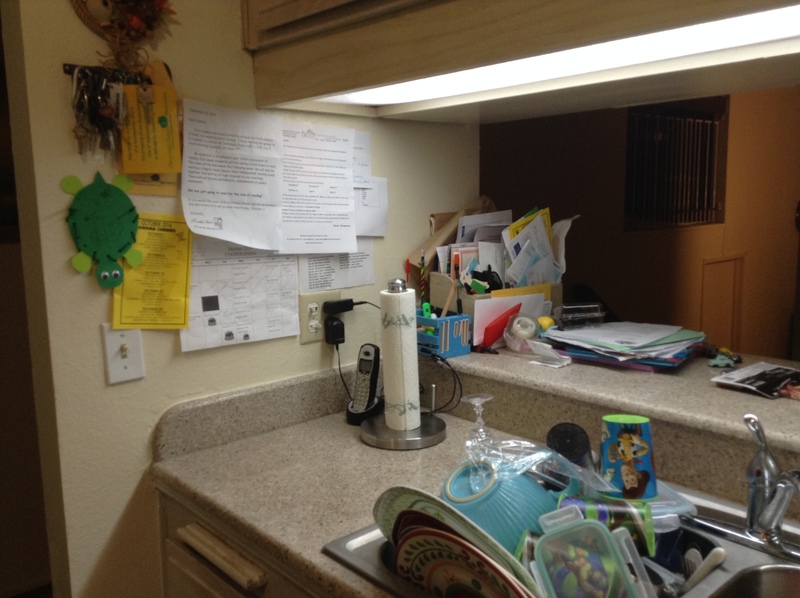 Good luck in decluttering – please send after photos of your clean counters!